Premium spring-loaded double-lip rotary shaft seal with heavy duty metal structure. Used for oil or grease retention. A reinforced metal casing protects the sealing lip from damage or accidental spring dislocation when shaft installation is against the sealing lip. 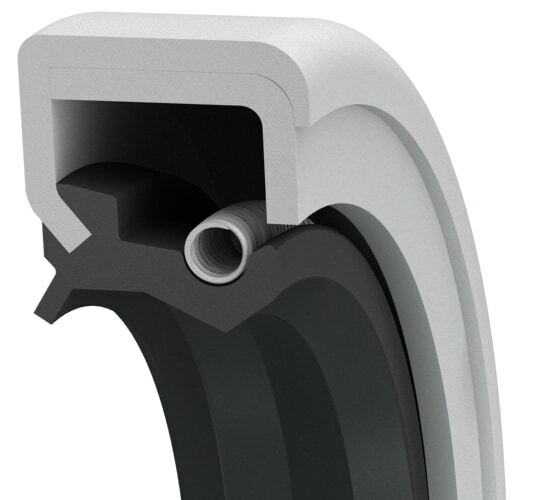 An optimized seal lip with a steel garter spring maintains a constant radial lip force for optimum sealing. The metal case is exposed to the elements and the fluid, however, the application of an optional sealant coating to the case improves both static sealing and corrosion resistance between the housing and the seal OD. The secondary lip serves as both an effective protection against light airside contaminants and as a lube retainer. Maximum service life is achieved by applying a suitable lubricant between the two sealing lips. 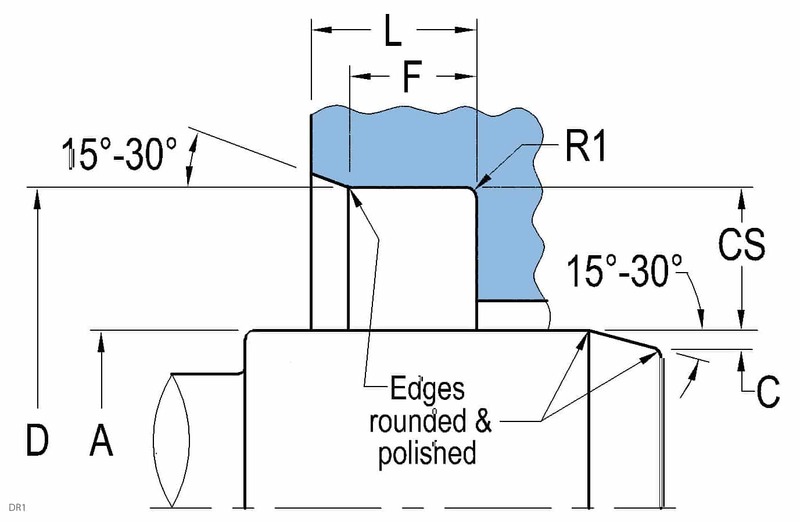 For medium and heavy duty dirt exclusion see ADG or AJ multy-lip design oil/grease seals.